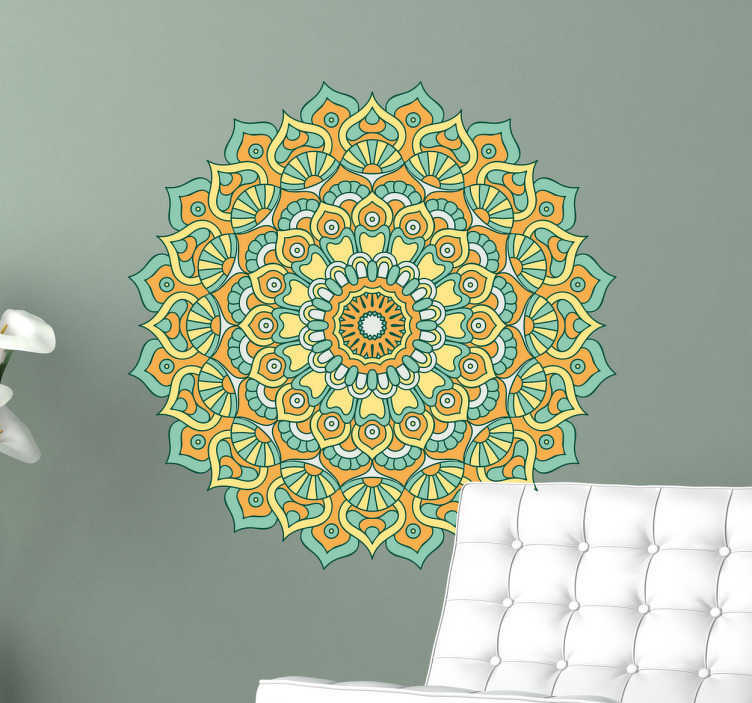 Wall Decal of a pretty floral mandala. A very colourful addition to your wall. Nice wall decoration for people who love mandala flower designs. Try this beautiful sticker, which has the capability to radiate calmness. This sticker is available in various sizes.